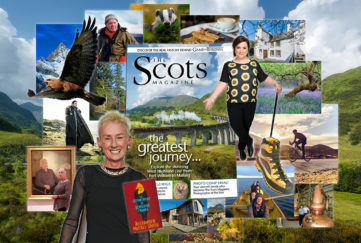 Home » Community » Navigation with Glenmore Lodge! 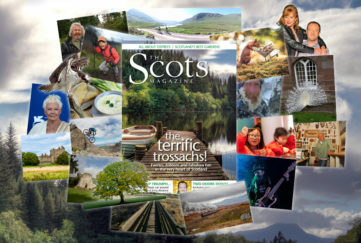 An extended Scots Mag team of nine writers, contributors and readers met in Glenmore Lodge, Scotland’s national outdoor training centre, on Saturday, April 15. A few of us had stayed overnight in Glenmore’s very well-appointed bedrooms so we didn’t have to get up too early – a wise decision as not only did we have a fabulous dinner in the Lochain Bar the night before, we started the day with an excellent breakfast and first choice from the packed lunch goodies (another highlight of our visit!). 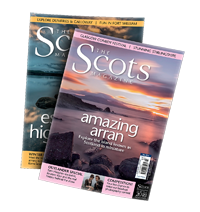 Our instructor was to be Nigel Williams, head of training at Glenmore Lodge and, according to various sources, ‘a bit of a legend’. 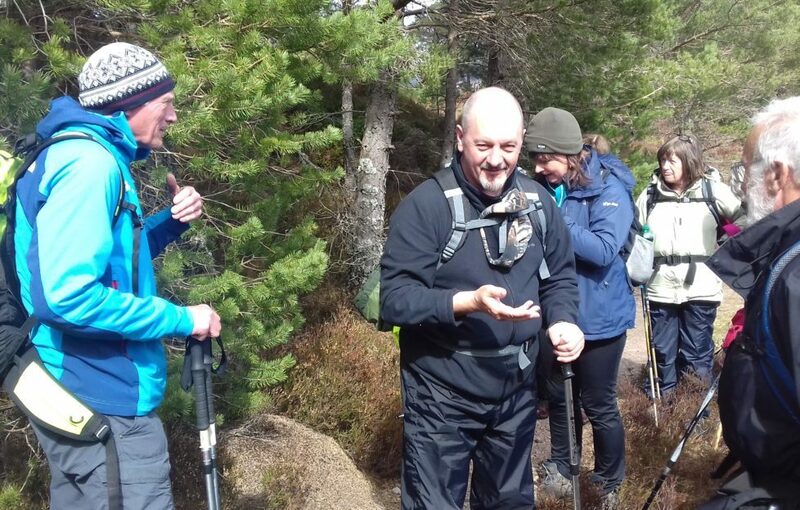 The sun was shining brightly, but Nigel began our training day by showing us the weather forecast for the Cairngorm plateau, emphasising how important it is to check the weather on the summits before you head out for a hike. That day the forecast was for 70 mile per hour gusts, -5 wind chill, hail, sleet, snow and occasional sun. 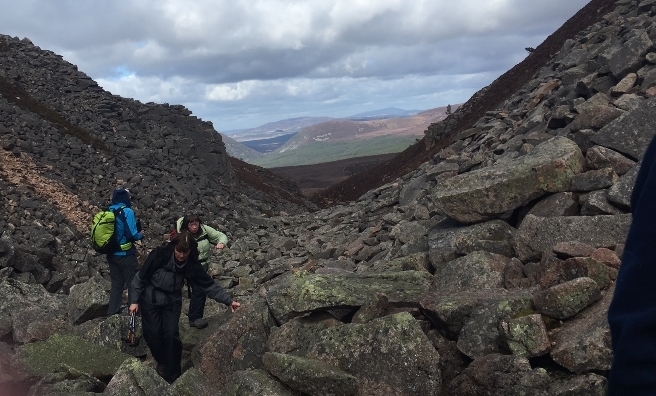 With this in mind we started our first expedition planning exercise – planning a route to keep to a lower level and with the wind behind us as much as possible. 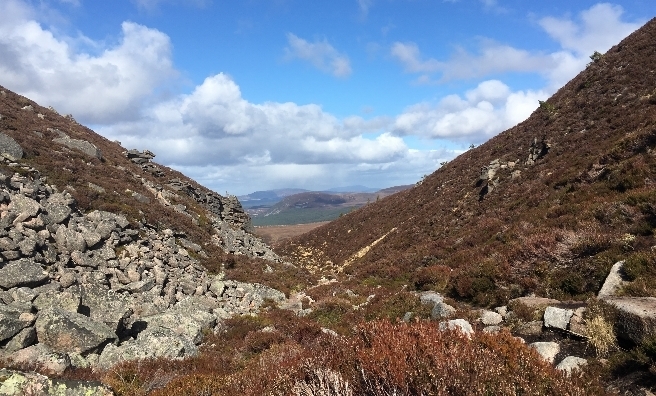 Route selected – a hike to the top of the Chalamain Gap – Nigel then bravely undertook the challenge of teaching navigation to those in the group who had turned pale when he took out a compass – mainly me! Despite years of walking in the hills and my oft-mentioned spell as Venture Scout, I don’t have a clue how to use a compass or read a map. However, thanks to Nigel’s simple explanation and games which reinforced his message of moving the map rather than the compass, I was soon nodding my head and, occasionally, pointing in the right direction. Next, a walk around the grounds using our maps and compasses, while also learning how to follow a route and work out timings. 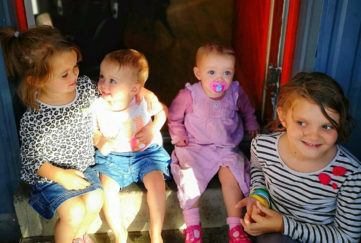 And everything clicked into place, even for me! 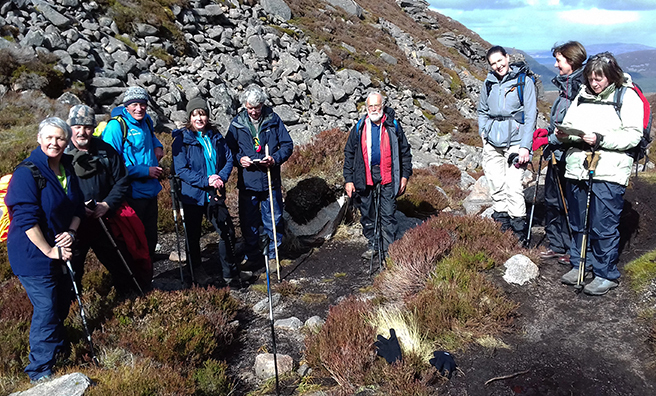 Then it was time to head into the hills and, accompanied by Nigel, put into practice what we’d learned, while also discovering what to do if someone is injured during a walk and finding out more about the area’s wildlife and history. 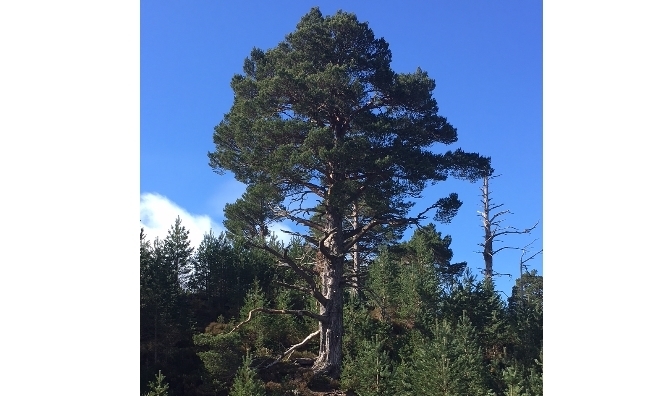 Starting off at an ancient Scots Pine to the north of Loch Morlich, we went into the forest and climbed up to the edge of the treeline and across to Lochan Dubh (proof that I was paying attention! ), checking our maps and compasses all the way. 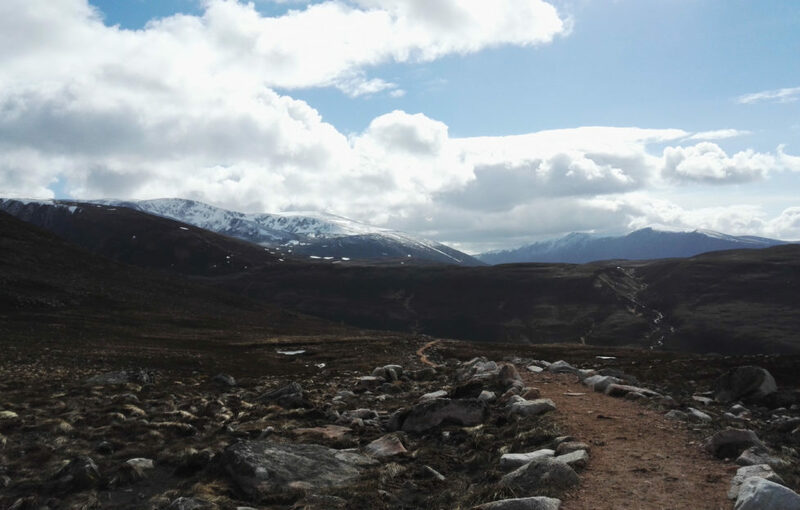 Next, we crossed over the moorland to the bottom of the Chalamain Gap and clambered over massive boulders to Creag a Chalamain, where the cloud lifted to reveal the vast panorama of the Cairngorm Plateau and the Lairig Ghru. Being able to work out where I was in relation to these landmarks by looking at a map which I’d lined up with a compass gave me the most amazing sense of achievement! Back at the lodge after our 13 km ‘afternoon stroll’, we were greeted by tea and possibly the best chocolate cake I’ve ever eaten. What a fabulous day in the hills! 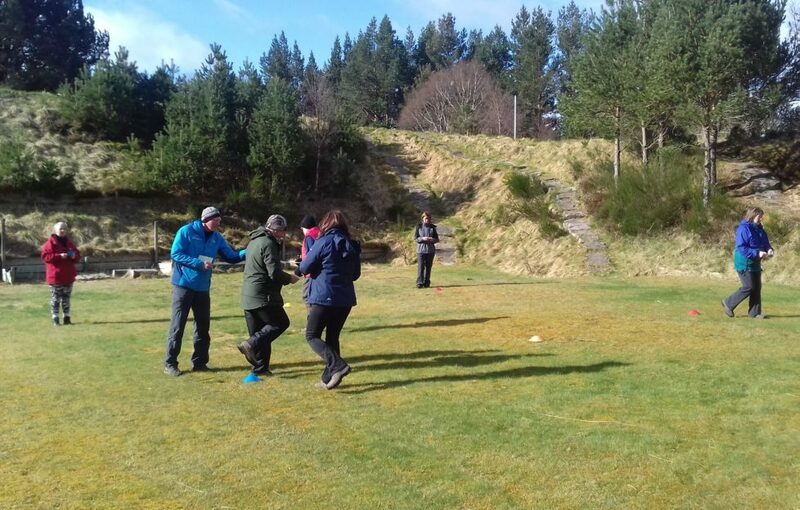 Glenmore Lodge provides specialist training and assessment in outdoor adventure sports – including mountaineering, paddle sports, mountain biking and snow sports, as well as running mountain leader, winter safety skills, navigation and first aid courses.